For the second straight day, scooters dominated the news cycle. Our own David Meyer spent the morning at City Hall to prepare his overview of the four related City Council bills. And our editor vented his prodigious spleen at the mayor. 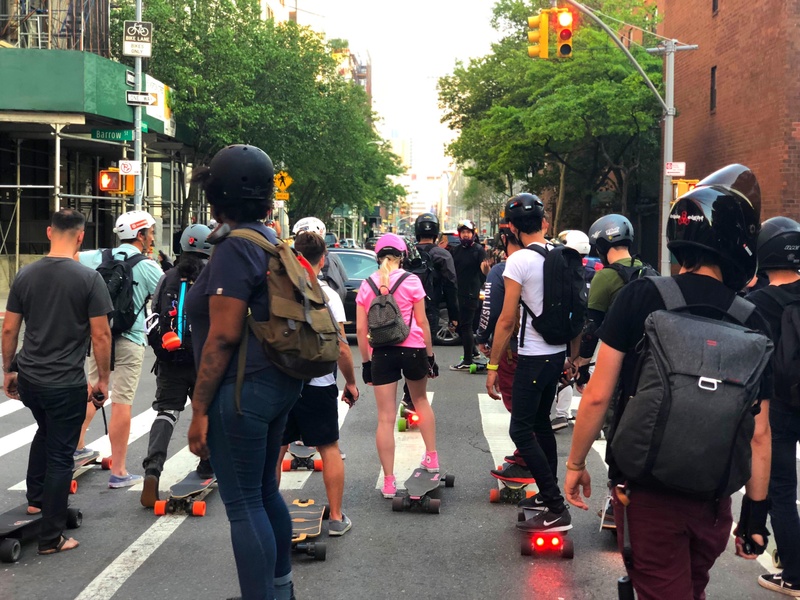 Our editor also had an op-ed in the Daily News on Wednesday about why scooters and e-bikes are good as the antis have already branded scooters as “unsafe.” You know what’s unsafe? CARS! The Post’s scooter coverage highlighted that the mayor considers the slow-moving two-wheelers a threat (see above rant). Politico covered the “birthday party” for the 108-year-old Gateway Tunnel, which will collapse and cripple the regional economy if nothing is done (hint: nothing is being done). Well, at least lunch is being done — Gov. Cuomo and President Trump broke bread and civilly discussed fixing the tunnel (NY Times, Politico), but Sen. Chuck Schumer blasted the president for playing politics with the New York region’s economic aorta (NYDN). And the Daily News Editorial board had fun with the whole thing. The subway fare increase is going to happen, Aaron Gordon writes in Gothamist. Vin Barone of amNY wrote a stinging indictment of the Chambers Street J train station, but it almost read like an ode to just how bad a subway station can be. Those e-kick scooters are too dangerous for this guy. I have no problem with other people taking on the risk though. I think by far the greatest risk is to the rider, not to other road users. I was riding my 700c wheeled bike the other day in broad daylight on a Stuyvesant Town service road; I was not distracted, and yet I managed to ride over a fairly big pothole. I got jarred pretty good but that was all that happened. I really do appreciate those big wheels. You just never know with these east coast road surfaces. My feelings exactly. I won’t ride those things, either, but I’m fine with others using them. Even with big wheels, once in a while you get it wrong and go down. Last month for example, I fell for the first time in 22 years. However, the number of rough spots I must have ridden over but just got jarred in the intervening 22 years was easily in the tens of thousands thanks to the big wheels. Is a huge assumption, especially given the crap methodology for service reduction estimate provided by Amtrak.